It is important that at Investing Ethically we practise what we preach. In order to offer ethically responsible advice, we must be committed to being ethical ourselves. It is for this reason that we only affiliate with organisations that care as deeply about sustainability and environmental issues as we do. 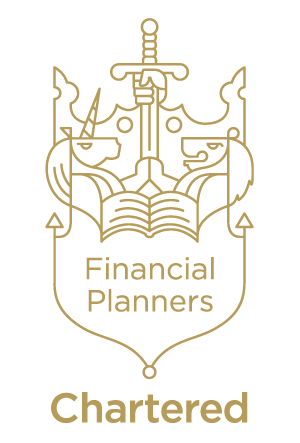 We have been awarded the prestigious Chartered Financial Planners designation by the Chartered Insurance Institute (CII). This means we have satisfied rigorous criteria relating to professional qualifications and ethical good practice. It means you can be confident that you are dealing with one of the UK’s leading firms that is wholly committed to providing you with the best possible advice, service and support. This is the industry’s gold standard for firms of financial planners. It confirms that we have highly-qualified staff who subscribe to the membership conditions of the CII. The Ethical Investment Association is a group of ethical specialist IFAs who meet regularly to develop their understanding of ethical investment issues. The Quakers and Business Group promote Quaker values in business and the workplace, providing supportive network for those who uphold these principles. Foundation East is an industrial and provident society that provides business finance in the East of England. The Phone Co-op is a consumer co-operative that offers services for phone, broadband and mobile contracts. Triodos Bank believe that profit doesn’t need to be at the expense of the world’s most pressing environmental problems. The Chartered Insurance Institute are a professional body who promote higher standards of integrity, technical competence and business capability. Freedom from Torture work with survivors of torture. They assist, protect and promote the rights of torture survivors living in the UK. Global Justice Now are a democratic social justice organisation. They work as part of a global movement to challenge the powerful and create a more just and equal world. The Campaign Against Arms Trade (CAAT) in the UK works to end the international arms trade, which has a devastating impact on human rights, security and economic development. The Centre for Alternative Technology is an education and visitor centre that demonstrates practical solutions for sustainability. They emphasise green living, including eco-sanitation and organic growing. The Christian Aid vision is an end to poverty. They work globally for social justice and enact profound change to eradicate the causes of poverty, achieving equality, dignity and freedom for all. ETA is an ethical motoring organisation and sustainable travel lobby group. They support vital environmental projects in Britain and throughout the world. The Greenhouse Trust was set up in 1995 to fund specific environmental and conservation projects. The primary function of the Trust is to encourage sustainable development for SMEs. Naturesave are the leading ethical insurance provider in the UK. Naturesave donate 10% of selected annual premiums to their charity, The Naturesave Trust, which supports environmental projects across the UK.